Once again, Wee Hairy Beasties bring you kids songs that give kids (and their parents) credit for having a brain and knowing how to wield it! (Though to be fair, this record is also very good for forgetting about your brain and just dancing around in your underwear!) This album proves that there’s a fun holiday for every time of year! Holidays Gone Crazy is a rollicking good time for big and little folks alike—folks who know that spiders are cool, that the dark can be fun, and that dinosaurs love Santa Claus just as much as the next guy. You’ll find familiar, scary fun for Halloween with "Wee Scary Beasties" and "Pumpkinhead," and you’ll even meet some far out holidays that may only exist in Beastieland, like "Dinosaur Christmas." There are songs with Shangri-Las finger-popping flavor, fresh seat-of-the-pants harmonies, a musical nod to Slade (yes, Slade!) and some very special guests: actual kids singing along in wide-open ,b-i-ng-o style! And, as always, Devil In A Woodpile's bright and bouncy instrumentation—washboard,slide guitar, thumping upright bass, clarinet and harmonica—percolates like the best Harman-Ising cartoon bug band that ever was. 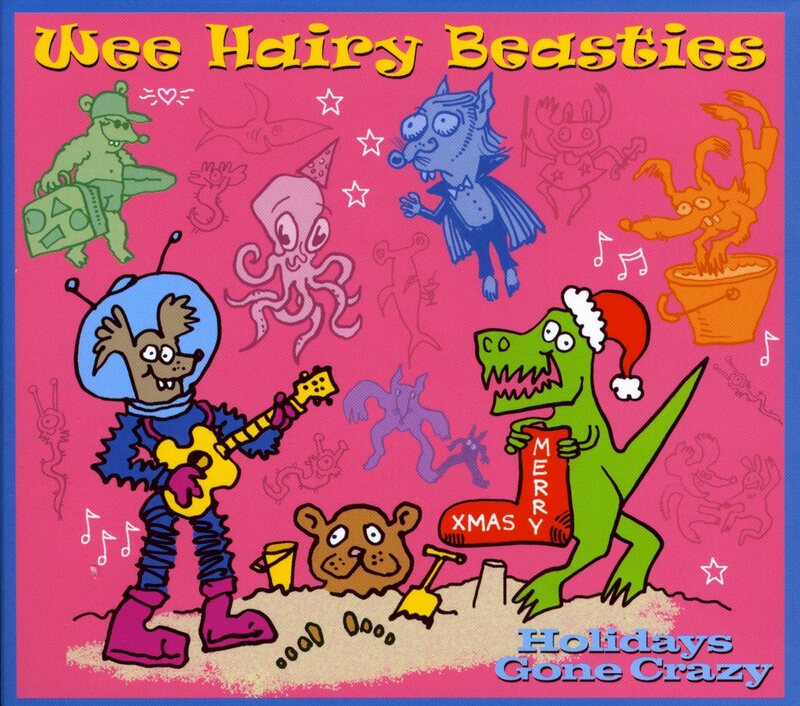 Check out the Wee Hairy Beasties’ PSA’s too: did you know that ice cream for breakfast is GOOD FOR YOU? The Beasties will set you straight! of front porch settin’, old-timey blues band Devil In a Woodpile.